On this page, we'll learn how to make quinoa for the delicious quinoa salad with roast pumpkin, shaved Parmesan cheese and lots of chopped fresh parsley. For the full recipe with the proportions, please click on the button to take you to the page for this tasty yet so easy salad. 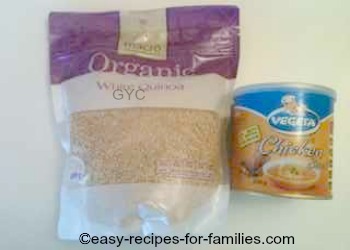 We prefer to cook quinoa so that it has a slight crunch that's more suitable for salads. We don't follow the recommended instructions of 3 cups of liquid to 1 cup of grains as it produces a soggy product and I find that quite unpleasant. This is what the grains look like - like tiny pearl barley. Find out if these are a grain or seeds. Place the quinoa in the saucepan. Rinse till the water runs clear. You'll find its very bubbly at the start and by the third rinse, it runs clear. 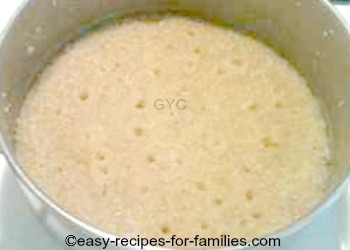 Add 2 cups water with stock powder. 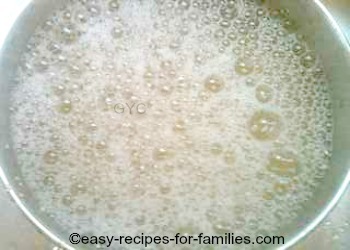 Stir in the stock powder into the liquid. Bring to a rapid boil. 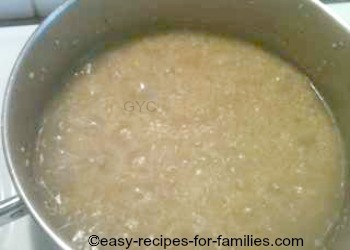 Then lower the heat substantially to a low simmer and cook till all the water is absorbed. 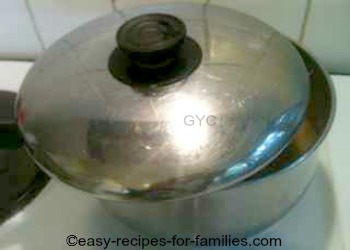 To control the temperature, use techniques such as this, where the pot lid is tipped so that the pot is covered yet allows cool air to be incorporated. The quinoa is cooked when all the liquid is absorbed. Leave on the lid and cool for a further 5 - 10 minutes, then fluff up with a fork. 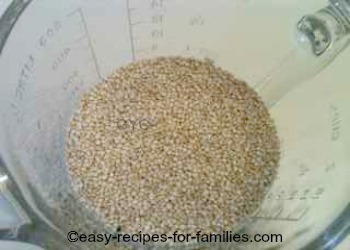 For all quinoa recipes, just check that the seeds have been cooked. You'll see the germ in the seeds as a small little curl. It should still have a "bite" to it, like pasta cooked "al dente". The process really is easy - it's like cooking rice. 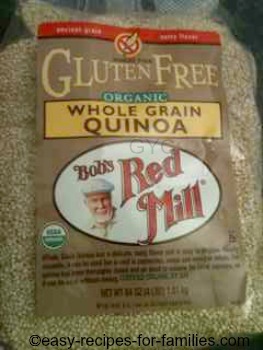 And once you've mastered how to make quinoa, you'll be able to make all sorts of healthy and delicious recipes. 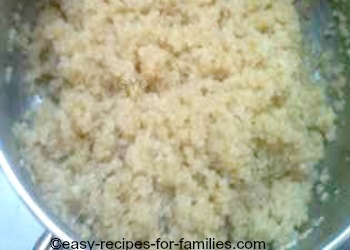 Leave How To Make Quinoa to be inspired hundreds of delicious and easy recipes that will have the family running to the dinner table!